A real estate professional for over two decades, Claudia Watts has built a stellar reputation in the industry for her ability to provide clients with professional representation, valuable insight, and keen attention to detail. 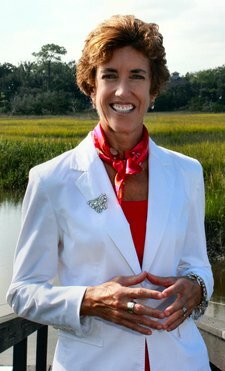 She was ranked as the top listing and sales agent at RE/MAX Professional Group on Amelia Island from 1998 to 2010. She is currently one of the principals in the prestigious COLDWELL BANKER The Amelia Group. A graduate of Bishop Kenny High School in Jacksonville, FL as well as a Bachelor of Arts degree holder in Communications (minoring in Spanish) from Jacksonville University, Claudia is proud to have grown up as a “local girl” who knows Amelia Island and its surrounding areas like a native. Claudia belongs to a family of five, with a father who worked in the airline industry. This meant that she and her family relocated nine times before she even graduated high school. This experience allowed her to gain a high degree of empathy for those who are in the process of transitioning or relocating to a new area of residence. Today, Claudia and her husband George are both active members of the community. Claudia has served as the Director of Amelia Island Equity Club for three years, and has been a former Director of Branch Banking & Trust (BB&T). She is actively involved in the First Tee Drive, the Boys & Girls Club of Nassau County, and the Osprey Village Assisted Living Facility on Amelia Island. Claudia has satisfied an endless list of clients looking for their own special piece of Amelia Island. Her passion for what she does combined with her ability to stay on top of the current trends of the island’s local real estate market. She is consistently included in the top 1% in sales and volume listings in the Amelia Island real estate market for more than two decades – a testament to her commitment to excellence and high regard to upholding the finest standards when it comes to professionalism. Claudia is able to assist buyers in their search for the perfect property by providing valuable insight, helping place knowledgeable offers, and representing her clients’ best interests through negotiations all the way to closing. For sellers, Claudia is able to get the best offer for them through her extensive knowledge of the market, land values, and comparable sales, as well as her ability to give properties the most exposure to sell for the highest price possible. For Claudia, success isn’t something that can be defined by a simple home sale – it’s providing exceptional service to each and every client that has always been at the core of her career. Get in touch with Claudia Watts today! Whether you’re in the market for a stunning oceanfront home, planning to put your property on the market, or thinking about testing the waters with a rental in a new development, you can count on Claudia to be there for you from start to finish. You can reach her by leaving a message here, or by calling 904-556-4000 or sending an email to Claudia.watts@coldwellbanker.com.